Jaycee Chan, the son of action superstar Jackie Chan, has admitted to smoking marijuana for the last eight years following his arrest on drug charges in Beijing, reports our Chinese-language sister paper Want Daily. In a new video released by Beijing police, the 31-year-old Jaycee was seen leading officers through his luxury apartment as he revealed his stash of marijuana and smoking paraphernalia hidden in a locked safe along with bottles of vitamins and health supplements. Reports say he told police that the first time he tried smoking marijuana was in 2006 in Amsterdam, where personal use of cannabis is legal. 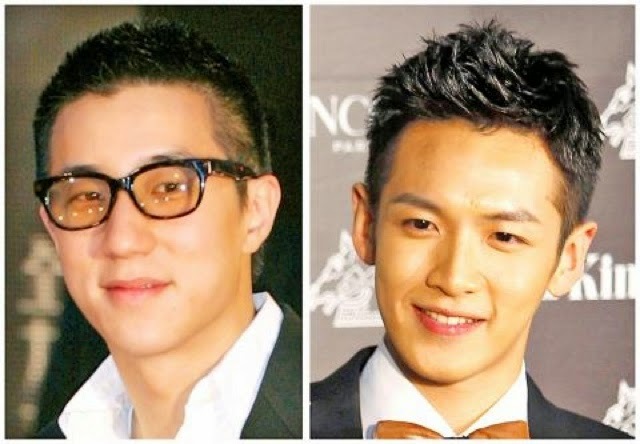 Jaycee was arrested with 23-year-old Taiwanese rising star Kai Ko, also known as Ko Chen-tung, following a tip-off from the public, police confirmed Monday, adding that both men tested positive for marijuana and admitted using the drug. About 100 grams of marijuana was taken from Jaycee's Beijing pad along with security surveillance footage that revealed many other stars entering and exiting the building, leading to speculation that more high-profile arrests may follow. Since the start of the year, nine celebrities have already been apprehended for drug offences in China. Jaycee's father Jackie Chan is an anti-drug ambassador in China, while Ko, who rose to stardom for his award-winning performance in the 2011 Taiwanese blockbuster You Are the Apple of My Eye, had previously starred in a short film telling young people to stay away from drugs. Ko has revealed that he smoked marijuana for the first time at Jacyee's apartment in 2012, the year he appeared in the short film, adding that he was initially surprised by his friend's habit. Jaycee's apartment in the 99-unit luxury complex was reportedly bought by his father in 2008 for US$6.7 million and is now worth around US$28.3 million. The complex comes equipped with a private gym, swimming pool, cigar room, red wine bar and karaoke rooms. I read an old article about Jaycee parents who were apparently worried that Kai Ko would lead their son astray. They would never imagine that their son was the main culprit in this series of drama. In their mind, Jaycee is well disciplined. Sadly, that impression was such an irony from the truth, since we know that Jaycee Chan is the one that introduced Kai Ko to drugs. On the other hand, Kai Ko was foolish when he make the decision to follow his friend in drug abuse. He was old enough to think for himself and his playful nature had costed him his entire career to be gone. Many people criticized their non-drugs campaign. It was indeed funny that their endorsement of this campaign ended up a joke. Parenting issue had been raised, their respective agencies have released an apologies on their behalf too. Both celebrities fathers were seen traveling to BeiJing to meet up with their sons at the detainment centre. Sadly, their sons actions had implicated their friends and family too. Netizens had commented about this high profile celebrities drug bust online. Some stated that the celebrities had chose the wrong place to smoke weeds and it is not a big deal in other countries. I thought that Jaycee should know that it is unlawful in China but he is addicted to drugs and have to carry it everywhere. It is just a matter of time they will get caught, but they never thought too much about the consequences given the priorities of druggies were to satisfy their addiction. They did the crime and have to pay for it.